U.S. Open Tennis, my favorite sporting event is here, and the best part is that it takes place in Queens. I was happy to attend the Qualifying Tournament this past Friday, which gave me a nice preview of things to come. Excited to return to the Open next week, I've been scoping out some yummy things you can get your hands on in and outside of the tournament's grounds. 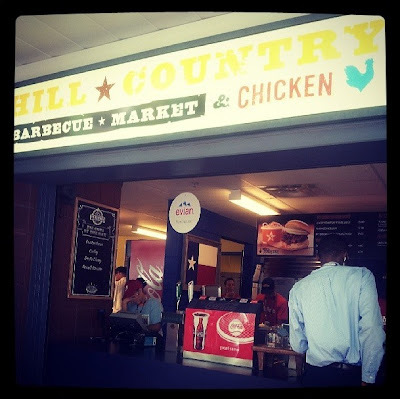 Hill Country BBQ - Excited to see this popular BBQ haven make its debut at the Billie Jean King Tennis Center, you can now get your fix of brisket, turkey, sausage and other BBQ yummies. The best part for me was seeing their lovely miniature pies in pretty glass display cases, with flavors ranging from Double Cherry to Bourbon Pecan.